Brian Jonestown Massacre have announced the new album ‘Don’t Get Lost’, which will be released on 24th February, just a mere four months after the release of their last album ‘Third World Pyramid’. The double LP will be available on 180grm yellow vinyl and was recorded and produced at Anton Newcombe’s new Cobra Studio in Berlin. ‘Don’t Get Lost’ is the 16th full length release from the Brian Jonestown Massacre and was recorded from March 2016 to October 2016 with band members Ricky Maymi, Dan Allaire, Collin Hegna & Ryan Van Kriedt. Also joining the band on this album are Emil Nikolaisen from the Norwegian band Serena-Maneesh & Pete Fraser (The Pogues, New Young Pony Club) on saxophone. 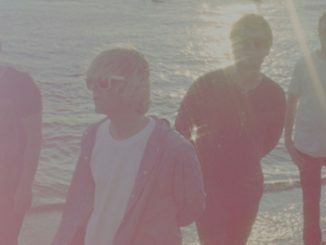 There are also guest vocal performances from Tim Burgess (‘Fact 67’), Tess Parks (‘Groove Is In The Heart’, ‘Throbbing Gristle’, ‘Dropping Bombs On The Sun’), Shaun Rivers (‘One Slow Breath’) and Friederike Bienert (‘Ich Bin Klang’). A new dynamic is heard on this 14-track album that twists and turns through the known and unknown Brian Jonestown Massacre. ‘Don’t Get Lost’ mixes the shoegaze/psychedelic sound with more experimental twists and nods to the likes of PIL (Metalbox), Primal Scream and even Ornette Coleman. 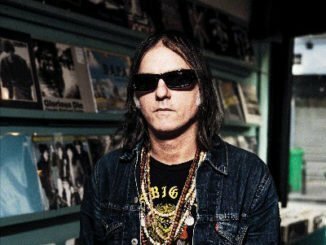 Anton Newcombe has been a very busy man these past 3 years, kicking off with the critically acclaimed Brian Jonestown Massacre album ‘Revelation’ in May 2014. 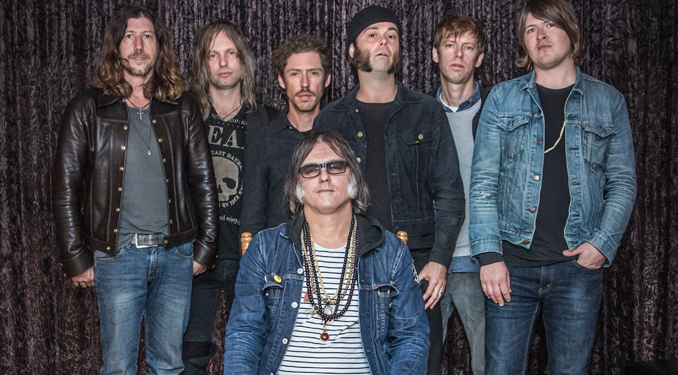 After a successful UK and European tour, the BJM followed this up with the ‘+-‘ EP (Nov 2014). 2015 saw the release of ‘Musique de film imaginé’ (April); an imaginary film soundtrack album featuring the track ‘Bonbon’ which has, ironically, been used in ‘Dheepan’; the Palme D’or winner at Cannes film festival 2015. 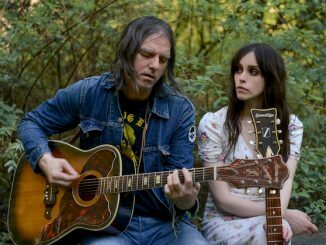 In June 2015, Anton and Tess Parks embarked on a well received tour of the UK and Europe to support the release of ‘I Declare Nothing’. Anton finished the year with a BJM mini-album release entitled ‘Mini-Album Thingy Wingy’. In 2016 the band released the critically acclaimed ‘Third World Pyramid’. All releases were fully recorded and produced at Anton’s studio. Brian Jonestown Massacre have been touring the world since November 2015, playing Australia, New Zealand, and then in 2016 the USA, Canada, UK, Europe, Chile & Argentina. The Brian Jonestown Massacre track ‘Straight Up and Down’ was used as the theme tune to the multi-award winning Boardwalk Empire. Anton recently penned the soundtrack for ‘Moon Dogs’, a new film directed by multi-BAFTA nominated Philip John (Svengali, Downton Abbey, Being Human).